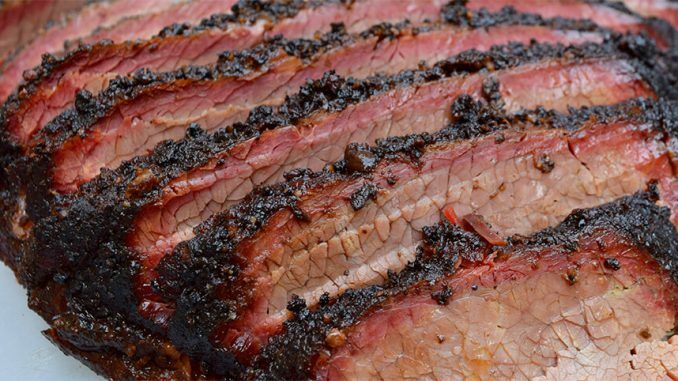 Texas Style Beef Brisket is more than a simple recipe, it’s a process for melt in your mouth beef brisket that is one of the most versatile meals you can make. Beef Brisket can be eaten as a meal, served with potatoes or mash. You can make Sloppy Joe’s or even make Beef Brisket Pizza! My Beef Brisket recipe has been adapted to perfection. Enjoy! See my Sloppy Joe recipe here. Add beef stock and enough water to yield about 3.5 cm of liquid in the roasting pan. Lower oven to 150 degrees C, cover pan tightly and continue cooking for 3 hours, or until fork-tender. You forgot to mention that you have this gorgeous wife and that she is also a great cook. Thanks, i will certainly visit here often and try your recipes. The Brisket i am going to do this Sunday.